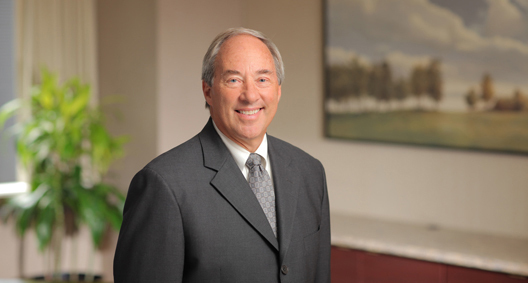 As a litigator with more than 30 years of experience, John Burtch is a trusted advocate focused on products liability litigation, medical malpractice defense and the representation of trade associations. Concentrating his practice in these niche areas, John is one of the foremost authorities in the representation of trade associations, speaking regularly at trade association meetings on subjects ranging from antitrust and tax implications affecting trade associations to professional standards and arbitration. Represented a major metropolitan hospital in malpractice litigation. Defended a national, state and local trade association in several complex antitrust cases brought by private litigants and state and federal agencies. Involved in all aspects of trade association representation, from general business matters to education and professional standards. Defended major manufacturers of asbestos-containing products in several lawsuits. Also involved in products liability cases in the medical, pharmaceutical and engineering fields. Served as counsel to Burton Public Library in a Library and Local Government Support Fund (LLGSF) appeal brought by Geauga Public Library to the Ohio Board of Tax Appeals. Served as counsel to Fairfield County District Library and Pickerington Public Library in an LLGSF appeal to the Ohio Board of Tax Appeals regarding participation by Wagnell’s Library. Served as counsel to Union Township Public Library in an LLGSF appeal to the Ohio Board of Tax Appeals regarding the 2004 and 2005 allocation of the Brown County Budget Commission. Served as counsel to Fairfield County District Library in an LLGSF appeal to the Ohio Board of Tax Appeals regarding LLGSF allocation between Fairfield County District Library and Pickerington Public Library. Served as counsel to Montpelier Public Library in an appeal to the Ohio Board of Tax Appeals regarding a dispute with Bryan County Public Library over an LLGSF decision. Served as counsel for Bristol Public Library and Kinsman Free Public Library in a dispute with Warren Trumbull County Public Library over a PLF decision. Served as counsel for Grafton-Midview Public Library in a library boundary dispute. Represented Upper Arlington Public Library (UAPL) in a negotiation with the other six library systems in Franklin County in formulating a multiyear agreement to divide LLGSF monies coming to the county. As trustee for UAPL, assisted twice in the search for a new library director. Handled the salary schedule, employee handbook issues, contract issues with the director and clerk treasurer, formulation of an employee health care plan, construction issues, Sunshine Law issues, challenges to library materials and computer filtering, negotiation of a LLGSF split, and lobbying at the state level regarding budget issues; defended the library in sexual harassment claims.